Hi everybody, this is super easy. I will outline each step, and you will have your pictures loaded up in a snap, no worries. 1.) 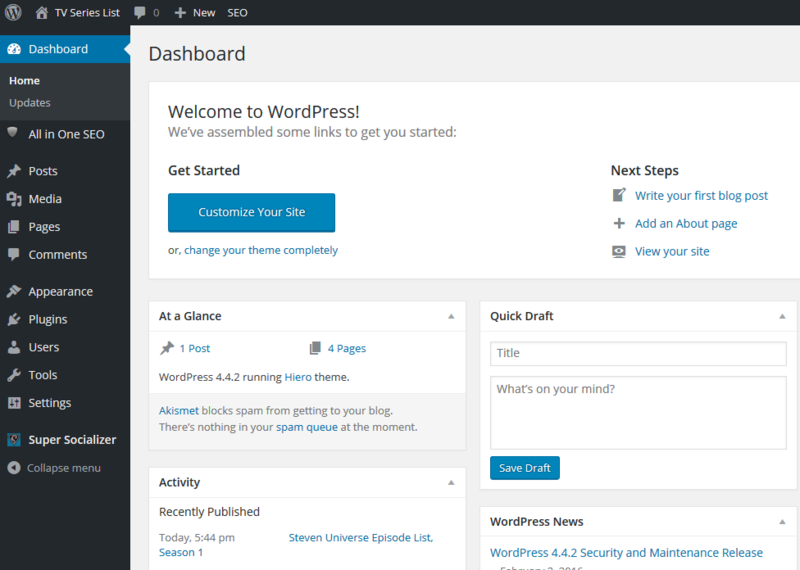 First Log-in to your WordPress admin area. It will look pretty much look like the picture below, only with your website’s information. 2.) In the left column click “Media“. When you click “Media“, it takes you to your media library. You will notice I have a couple of pictures in the Media Library already, (picture below). We will add another one. This is the area where you up-load pictures, music, video’s, or even documents. In this example we will add a picture, since we are talking about adding pictures to WordPress… LOL. 3.) Notice I yellowed in “Add New” above, you will be clicking that next. When you click “Add New“ you come to the screen that will allow you to browse your computer’s folders/files for the pictures you are wanting to upload to WordPress. 4.) Click “Select Files” I yellowed it in for better visibility. After clicking “Select Files” a window that lets you browse your computers folders, opens up to allow you to upload whatever media you are looking. If anything is tricky this would be it. 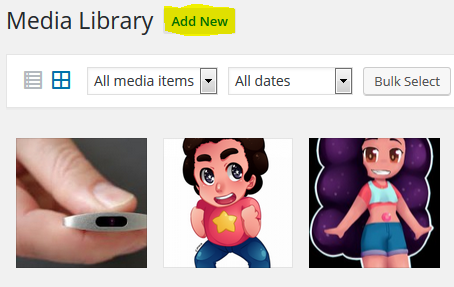 You have to find the correct folder on your computer, where you saved the pictures you want for WordPress. You can see in the picture above that I have a folder open, (on my computer), with some pictures. When you see the one you want on your computer, just select it with a single click, and then click “Open”, or double click it. Either way this action uploads the picture you selected, in to your WordPress library. I clicked/selected the happy face thumbs up, and clicked open.. actually I just double clicked it! 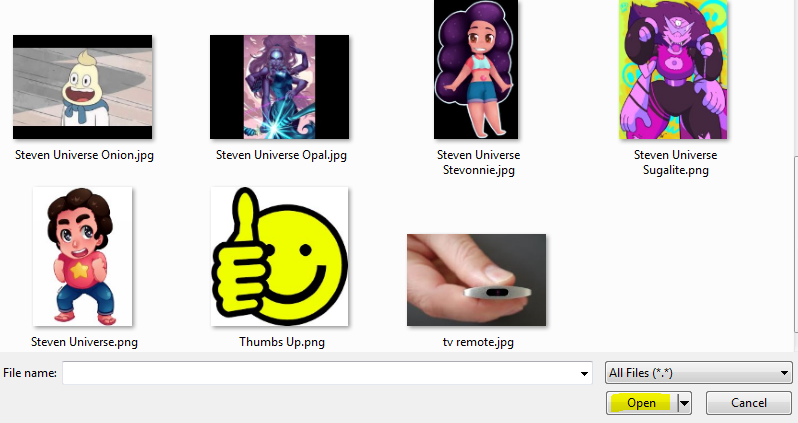 As you can see in this picture the thumbs up picture is now in my WordPress media library. Congrats, you did it!! Told you it was super easy, you just successfully up-loaded pictures to your WordPress Media Library. You can now add them to various posts and pages that you desire. Want to learn how to add pictures onto your WordPress website? Just click the happy guy below. If you notice a problem or have a question please comment below, I’m usually lurking and will respond quickly. If you would like to be kept up to date for future helpful posts like my Facebook Page! Working with WordPress has never been easier. I mean seriously, it can’t get any better than this, just a few clicks. O thing though, what I don’t like, is that there’s no freedom to move your pictures in the text. I always have a tough time trying to align them properly. Thanks for stopping by Julius, I am glad you found the ease of uploading pictures to WordPress to your liking. I agree they can be difficult to place in your post. One little trick I have found to be useful is to delete it and start over once you have played around with it and got it all messed up. Also I discovered you can drag the picture to where you want it. I still need to do some research and create a post about placing the pictures and other media on your posts and pages. Thanks Damir, I had no idea how easy WordPress was until I signed up for free with Wealthy Affiliate. Sometimes when I want to make extracurricular adjustments I see just how much value there is with using WordPress. I ran into your post and it was just what I was looking for; a simplistic was to add photos to my website. I just started to use WordPress to, so getting around the menu to accomplish tasks is a bit cumbersome right now. The idea to highlight with yellow, where I am supposed to click next was the perfect icing on the cake.Thank you for your time in creating a post on how to add pictures to WordPress in such an easy and instructional way. Hi Debra, thanks for commenting. It is so satisfying when someone shares that something I worked on was helpful to them. I think that overall WordPress really does a fabulous job of making so the average person can create and run their own website. The ease of adding pictures is just one example. Hi Vic, wow that was super easy!! Learning anything for the first time can be challenging, especially if you’re not a fan of technology. The best training really is a step by step illustrated approach. If you can capture the exact screens that your reader will see, it’s impossible not to understand. Hi Hindy, I appreciate you taking the time to comment. I think the key here is how simple WordPress makes it to run create and run a website. WordPress platform with the training at Wealthy Affiliate is what made it work out for me! Good job Vic, I’m sure this will help a ton of people searching for this exact help. Really well done and I enjoyed the pictures illustrating the steps. Thanks for this. 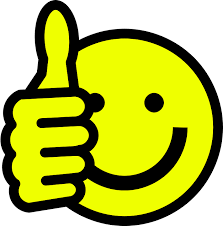 Its always good to hear from please customers, thanks for commenting!! I have seen a lot of people struggle with adding pictures to their WordPress Library so thought id take a stab at a guide. I read through your advice and I attempt to follow but I was unable to get the media site. It could be my internet connection weak. Will I be able to put my picture on my home page from here? It should, how did you get it figured out?